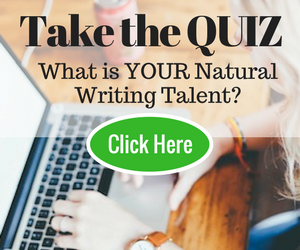 Excited about your writing career? About expanding your story’s potential? Yet after writing, maybe publishing, even marketing a book, you realize that’s just ONE book. And a career author writes LOTS of books. You’ll face a mind-numbing, blinking cursor on a blank white page. Do visions haunt you of your single book atop a “free” pile in front of a Goodwill store as you flip burgers to buy printer ink, while trying to come up with something fresh for your next book? And that’s what you need, right? Another new, fresh story? Then another and another? Writing just one story can build a successful and long-term career for an author. You know the rules: the story comes full circle; the dragon is slain; peace reigns in the kingdom; your protagonist discovers love; or, at the least, some “End” makes readers sigh and smile. Readers will love you and remember you. Readers may NOT clamber for your next book. Hey, the story is over. Readers close the book, say “Thanks for the read!” and hit the road (well, bookshelves). If you write one separate story, then another, and another, each must stand on its own, be marketed for its specific content and attract new readers, one at a time. Sure, you can do that. But there is another way to drive your writing career. You still want reader satisfaction at the end of every book. But if you also instill a hunger for “the rest of the story,” you sidestep the narrow pathway of writing individual books and climb the on-ramp to the broad freeway of series writing. What you want to create for your readers is one long story that meanders through several books. The paths it might take are nearly endless. A single storyline, a strong storyline, can carry your readers into a world they never want to leave. And propel you into a lifetime career as an author. Scarlett by Alexandra Ripley, was written as a sequel to Margaret Mitchell’s Gone with the Wind and published 42 years after Mitchell’s death. After Ellery Adams and Sylvia May published three books in their collaborative A Novel Idea Mystery Series, under the pen name of Lucy Arlington, each wanted to concentrate on their other popular series. Their publisher signed Susan Furlong, a long-time client of mine, to fill Lucy’s shoes. The series continued with two more from Susan’s pen. That helped speed Susan’s career; she’s now published her own Georgia Peach Mystery Series, and the first in her new dark suspense series, Splintered Silence, will be out later this year. Tip: An author attracts devoted readers when they entice with a series. Just writing another book with the same setting or characters isn’t enough. Some preplanning and set-up is essential (well, darned handy!) when writing a set of books. Don’t freak out—if you’ve already published a book, I’ll explain some great ways to STILL write multiple books from it. Few writers consider the differences between a series, a serial, sequel/prequels and spin-offs. Each has different parameters that can help—or limit—what you write in later books. As Mary Jaksch wrote in Fire up a Stalled Novel – Part 1: From Idea to Concept and Premise, “Think about creating a series, right from the start. Creating a series means creating a protagonist who can be the lead character in multiple stories.” She then describes how to create a design layer to plan out the overall concepts behind your series. Understanding the TYPES of series is essential to that plan. “Series” is often used to refer to any set of related books. But a true series is open-ended, meaning more stories in the same vein without building toward an overall conclusion. Write as many books as you want. Sue Grafton started with A is for Alibi heading for 26 alphabetically themed titles. Even more if she wanted to continue with AA is for Allegations Anonymous, etc.! A series can be written over many years without leaving readers dangling for a conclusion. Since each book concludes that individual story, what entices readers to buy the next book? Even if they enjoy your writing style and protagonist, something must make them feel a need to read the next book. A continuing thread of a problem, important to the protagonist, can pull readers along. For instance, the main character solved the immediate mystery or saved the world this time but still hasn’t found love or received recognition. Your series might even have different protagonists, like Lauren Willig with 12 books in her New York Times bestselling Pink Carnation Series. Her narrator, Eloise Kelly, focuses on a different historical heroine in each book. Her thread is Regency England/France and a love for English spies. No matter the number of books, a serial encompasses a single closed-ended storyline. Like a really long story segmented into books instead of chapters. The writer has a destination in sight while writing. The books are best read in sequence. “To Be Continued” on the final page can make readers impatient for the next book. Keeping details consistent in such a long storyline can be a challenge or feel limiting. Conclude each book with satisfaction (even if temporary): a goal achieved, a safe haven for characters, or something valuable learned, so the characters—and readers—are rewarded as they await the next book and final outcome. Pre-plan your route to the final book, yet be flexible. Keep your serial’s purpose intact as you explore new plot avenues along the way. What if you closed out a serial story and then wished you’d gone further with it? Of maybe you have an ongoing, open-ended series but you want it to come to a conclusion? No problem: you can blend these forms to handle those situations. Say you wish you could end your series. Use an underlying concept to conclude this storyline. It might be a niggling personal problem that you can (finally!) resolve for your hapless hero. Or the resolution of a constant external problem that has cropped up time and again. Maybe they finally find love, get promoted, or nab their arch villain. Sir Arthur Conan Doyle published several Sherlock Holmes mysteries between 1887 and 1893, ending the series by using Moriarty, a criminal mastermind in The Final Problem, to kill off poor Holmes. Doyle had Holmes concluding that Moriarty had orchestrated many of the crimes Holmes had investigated over several previous mysteries, even though Moriarty had not actually appeared in them. Doyle revealed (actually created) a thread that worked to pull together previous stories into this concluding book. Just because you successfully closed out your serial, doesn’t mean you can’t rethink it later and maybe add to it. Remember how Sir Arthur Conan Doyle murdered off Sherlock Holmes in 1893? Eight years later he resurrected Holmes when he wrote The Adventure of the Empty House in which Holmes explains to a stunned Watson that he had faked his death in The Final Problem to fool his enemies. Thus began the second set of mystery stories, which Doyle wrote until 1927. Another example: the original Star Wars trilogy concluded neatly, to be followed by three prequels, and three sequels. Each trilogy could be argued to function as a close-ended serial—but together they became an even larger (and on-going) series. Is your first book already published? Maybe it doesn’t suit becoming a series or serial? No problem. Consider a sequel, prequel, or spin-off. backstory to your original book. It explains how the problems that opened your original book came to be. It might examine the childhood of your protagonist or your main character’s ancestors.It might examine how the world developed to become your original book’s premise, like The Fever Code, James Dashner’s prequel to his popular Maze Runner series. A sequel shows what happened after your storyline ended. Although readers like a “they lived happily ever after” ending, they still wonder … what happened later? A sequel answers that question. LikeGo Set a Watchman: A Novel Go Set a Watchman, Harper Lee’s sequel to her To Kill a Mockingbird. A spin-off explores the same theme but from a different perspective. You might re-examine the same story from the view of a different character. Wicked: Life and Times of the Wicked Witch of the West (Wicked Years Book 1) by Gregory McGuire explores the world of Oz through the eyes of Dorothy’s nemesis, the Wicked Witch. Not only was this a spin-off on the Wizard of Oz, but it became the first in a four-book series, The Wicked Years. A spin-off can reflect a connected subject, something which was not an integral part of the original plot. Consider Fantastic Beasts and Where to Find Them , J. K. Rowling’s companion book to her Harry Potter series, a textbook for her future Hogwarts students. Love your story? Expand its storyline into some form of series by applying these marketing skills Aaron Orendorff explained in the WriteToDone article Two Complete Content Marketing Examples for Fiction and Nonfiction Authors. Your Story’s Goal – Know the purpose behind your story and your writing goals. Audience Preferences – Review the expectations and tone your readers prefer. Choose a type of series that fits your goals and your audience’s preferences. Consider your story’s scope and timeframe. Then explore your multitude of options as you expand your original story. Tip: Every story is a portion of a bigger picture. You crafted characters and a universe you love in one story, so why stop there? Imagine going to bed with the glow of knowing your fictional universe is still alive, waiting for you. Imagine waking up tomorrow morning facing not to a blank page, but a wealth of files filled with leftover scenes, character development charts, and the research you already have from your last book. You can multiply your single story idea into a series concept overnight. And, in the process, increase your chances of satisfying both your reader and yourself with a long-term writing career. Thoughts? Questions? Please share in the comments. One of my favourite series that got turned into movies…The Twilight Saga. You opened my eyes to a lot things. I love suspence. And I think giving the readers a reason to light night candles is really great. But making them yearn for more is even greater. Tempting perhaps? Taide, certainly it is up to the author how to end a story. Thanks for pointing that out. As I recall there was a time (in the 60’s or 70’s??) when it was in vogue to let readers decide the ending for themselves. But I find the majority of readers want at least SOME degree of satisfaction at the end of every book. I’ll admit I’m one of those who won’t read a second book from an author if I am left totally dangling. Thanks, Rajesh. As for super-hit sequels, I’m not sure if this exactly qualifies for what you had in mind, but Tolkien’s Hobbit, although popular, was followed by the trilogy Lord of the Rings which I’d say was a super-hit. The reason it was a trilogy instead of a really long single book, was the post-war paper shortage and to keep down the price. The path to any form of series can be a winding one! I haven’t made the move into books yet, though I’m wondering about my latest story. Until now I’ve been more comfortable with the short story. But with a short story the same idea applies. I’ve had many readers ask “and what happened next” with a story where I thought all the ends were tied. But the readers wanted to know more about the main character – or sometimes a lesser character. Amish female police chief: Pray for Silence by Linda Castillo. The theme runs through all in the series, but it works so well. I believe you have hit on something. I have a problem when I finish reading a book with memorable characters. What happened next? I continue to think about her, especially when the author writes so well that the characters become my close friends. That’s the power of a series, prequel, “knock-off,” etc. Thanks for explaining my unexplainable reading habits. Continuity and curiosity are staples in our lives and in our reading as well. So, yes, JoAn, it is very “explainable” why a series, especially with those characters who have become like close friends, appeals so much. And interestingly enough, it came just as I’d experienced a theft of my book, where someone had ripped my story right off, put a new cover on it and was marketing it as their own. It was fairly new on the market, but had already received a review. A bad one, by a disgruntled reader. Not because the book is badly written, as she stated, but because there simply was no ending – the book didn’t tie up loose ends, nothing was really resolved, and she was SO disappointed and even a bit angry, because she felt tricked (“vexed”, as she called it). Well, I can understand that: the stolen book had been repackaged as a one time (steamy) romance, and it’s not that AT ALL. It’s a serial, where only a small portion of the main conflict is resolved in the first book, and things are left hanging for the sequel. So… Ouch. This made me realize, just as this article points out, that it’s all about satisfying your readers and handing out a promise that you as the author simply need to fulfill, or you will face the consequences. In my opinion, that’s what makes writing series both so rewarding, and so challenging. And no, it’s certainly not JUST to write a series – there are quite a few things to consider, and you need to keep them in mind as you’re writing, too. This article is great for that! When I wrote my first novel I had no plans to continue the story. However as I neared the end I didn’t want the journey to end as I had grown to like the characters and world too much. I started writing the second novel at the same time I edited and searched for a Publisher for my first. Now I find myself doing the same for the third. Strike while the iron is hot! I decided to write my novels as a series instead of a serial since I wanted to provide a satisfying end to each stand-alone story. However, as you have pointed out, the challenge is to keep the reader coming back for more. To me that means the protagonist should continue to grow and the challenges need to be realistic enough to be believable. So we need to find that magic balance between growth of the main characters as they tackle their new and exciting obstacles but yet be able to retain their personalities the readers have come to enjoy. I have a feeling once I have chased the full growth of the main characters, I will likely spin-off a new series based on the younger, up and coming characters. This is inspiring and dead-on. After my first novel, the reader/fan reviews on amazon seemed to suggest more of this world of characters which I had created. The obvious solution was a sequel … but this was not an easy task. My mistake of not setting up the story for more; for not leaving unresolved little side plots or “loose strings” that could be the basis of the next book left me abandoning the sequel by chapter two. Dicoured, I put my writing on hiatus. And so I continue to write, and each time I read an article like this I am driven more to finish the next book. Thank you Sandra. Good stuff, it’s longer than I anticipated, so didn’t allow myself enough time to go into it in depth. I skimmed it cause I’m pressed for time at the moment. I will take a deeper look soon. I started a series, currently five ebooks, but I may have made a mistake by making the first three a trilogy. I have sold the three tolerably well, but the fourth was not a success. I deliberately made all of them tolerable as stand-alone, except the first (Athene’s Prophecy) contained a prophecy of what would happen to the main protagonist, and this is not resolved until the fifth. There is scope to continue, and I intended to continue, but is it worth it if the series slips in the middle? Hmm, this is a quandary. Which is why it is best (hindsight and all) to plan ahead. But let’s figure this out. If you made the first three a trilogy, I assume you mean you closed out the other aspects of the storyline on book 3, leaving only one part, Athene’s Prophecy, unresolved. Which might be why book 4 was less successful–the readers felt the story was already concluded. So … could you kind of ignore what happened in that 4th book and write the 5th with the focus on just that prophesy? In a way that readers of books 1-3 could go right to book 5? The bigger question is what do YOU want to write? If your heart is still in that storyline and you really feel interested in revealing the prophesy, go for it. If you don’t find joy in writing this 5th book, then maybe you shouldn’t. Writing should feel like a reward for the writer as well as the reader. The more the writer cares and feels for their story, the more it will translate into an interesting book. Thanks for the comment, Sandra. Perhaps the biggest problem was calling the first three a trilogy. I first wrote them as one book, but it was far too long, so it was obvious to split it, and I called it a trilogy. However, it is clear that the main problem remains untouched. Very quick summary – the prophecy is a message from the future – civilisation on Earth has been eliminated by aliens, and a call for help has to go to more powerful aliens, and thanks to relativity, the message has to be carried by a Roman, and he has to earn the help. The end of the trilogy has Scaevola awarded the right to go back with a couple of powerful alien warships, and some clues as to what to do. He has also been told there are only two women in his life. The first has been killed, so he must return to the second, who happens to be the ugliest woman in the world. I would hope readers would see there is more to come. I guess my best bet is to have a better description on Amazon, so people know this is the continuation. I agree completely with your last sentence; it is imperative the writer cares for what (s)he is doing. The fifth book is written, and it was a lot of fun to write. It is on a planet with civilised raptors. Describing a sort of romance between two such predators, and a game of tailball was of particular fun. Fun image of the raptors! I’ll get back with you by personal email and let’s get this interesting storyline sorted out and get your serial completed and properly described on Amazon! As one of Sandra’s longtime clients, I found this article inciteful. By the time I finished reading page 10, I had an outline for book 2 to add to two other books already written and following the suggestions I know how I can link them together as a series. Thanks for all the helpful suggestions, Sandra. No question, Sandra. You’re correct in this matter. As a reader I like to read series because it keeps the character alive longer! Thank you for an informative post Sandra. Another advantage of a series is you can recycle scenes. I wrote my first novel without an outline and as a consequence found myself writing subplots which moved too far away from the main story. I removed them in the editing process and saved the best. Some are strong enough to sustain a novel but I will use others either as subplots in another novel or stand-alone short stories to support my novels. Recycling rules! I have a Treasures folder where I place article paragraphs and ideas that I removed from finished posts, saving them for later. I always recommend that for my clients as well. First, knowing it is saved in a Treasures folder avoids the pain of “deleting” a beloved scene or great idea. Second, it is a great place to start on those less-than-inspired days. And last, it means you are already on your way for that series potential. I have now reached a point that everytime I read a book without a satisfactory ending, I personally email the author to tell him/her I will never read her books again. I have also started collecting a list of these authors, and I will, at some point, publish that list. I read in order to get a satisfactory eding. There is no way in hell that I will read an author again who kills off favorite characters, leaves the story without explaining everything. Agatha Christie, Leslie Charteris, Barbara Cartland, and a thousand other authors all managed to write series which left readers satisfied. I love this post! I have been thinking about writing a series of books for a while and I am inspired to get started on them! This article really resonates with me, because with my first novel finished, I again face that dread blank page, wondering if I can make the magic happen again. As it is, I left the ending of my first book somewhat open (one of the bad guys gets away). But it’s very hard to imagine what might happen next. Thanks, Sandra, for sharing some strategies. Maybe this will help inspire me! Valid advice. In my limited experience with publishers, they want their authors ready to produce sequels before the first book is even published. Their reasoning is if the book sells well then readers will ask for more, and they want their authors to have more books out as soon as possible. Oh, yes, Arthur. That’s a great point–it actually is a marketing advantage to let an agent and publisher know that you have more “in the wings” to follow a submission. Thanks for sharing that! I was justalking hitting a wall with my writing today and not feeling very enthusiastic about it. To the point I was ready to close down my laptop and look for a real job. But this was very inspiring and is starting that writerly fire smoldering again! I’m so glad this inspired you! That’s the point with a strong story–it tends to smolder anyway in the writer’s mind, so why not fan it into flames and put it into another book. Keep the fires burning! Disclaimer: I’ve been a huge fan of Sandra Haven since she helped me with my first novel. Her articles and newsletters are always helpful. This one however, really strikes home. I’ve been learning to write screenplays, and over the last couple of years TV pilots. A TV series often requires that your protagonist(s) a mission and not just a problem. Game of Thrones, ‘nuff said. The mission is to save humanity from the White Walkers, but it starts off simply with a problem – a good man helping a decadent King rule. The problems build and so does the story. I think Sandra is dead on with this article. For me, a big world with a series of epic problems is where I want my characters to suffer. Thanks, Rick! Yes, the world is filled with problems, both in reality and in our fictional worlds. Add in a protagonist with a mission and so much can happen–and it can happen over many books.